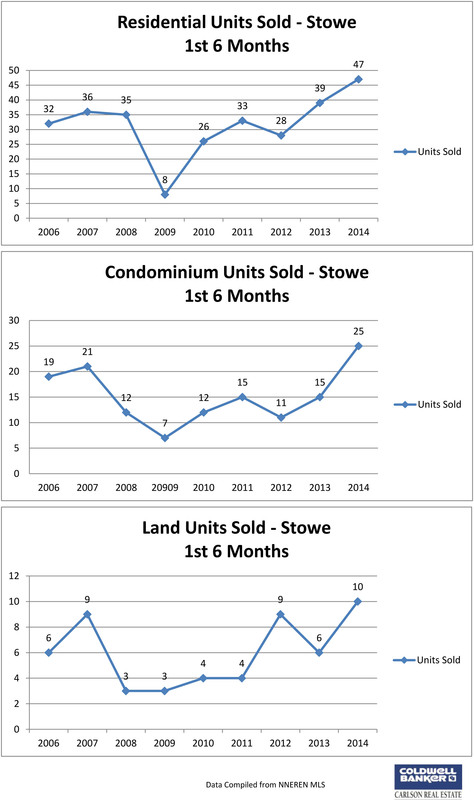 Real Estate Market Update We are settling in nicely to our new Main Street location which is located in the former Staffords Building, in between Plate and Ferro Jewelers. The brand new renovation has provided a bright, modern, and efficient work environment, which we are truly enjoying. Please stop by and check it out if you are in the village. 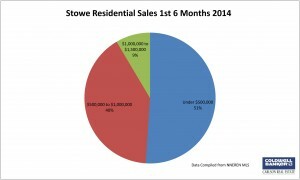 Following a beautiful spring, summer in the Stowe area is in full swing. The July 4th holiday weekend seemed busier than ever, and there is a full slate of fantastic events on tap for the rest of the season. The weather has been great, especially on the weekends, adding to the enjoyment of all the area has to offer during this special time. 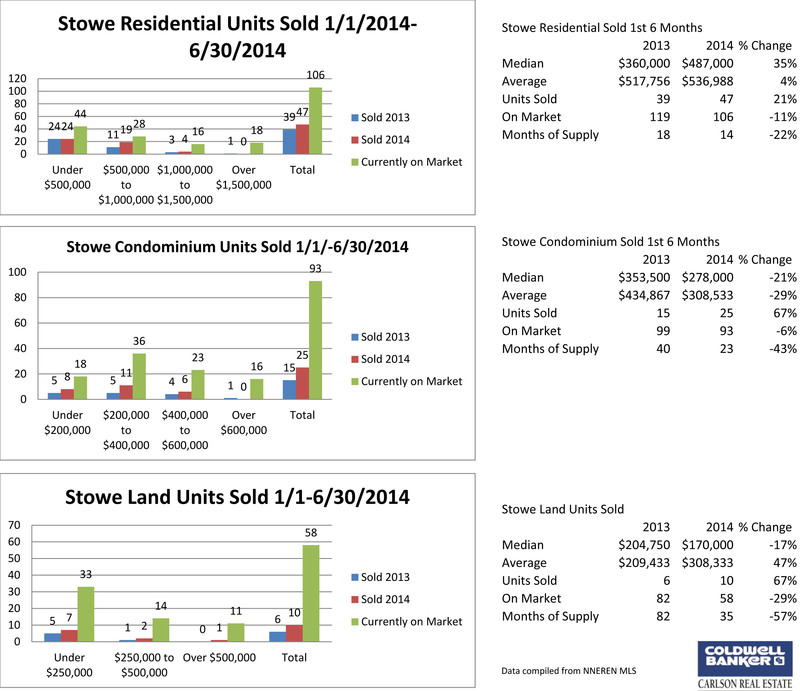 Condominium sales were up significantly at the end of the second quarter, by as much as 67%. 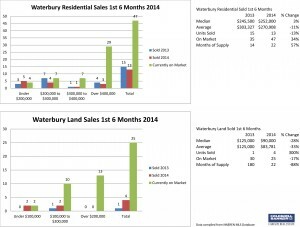 The amount of inventory decreased slightly by 6%, leaving a 23 months' supply. 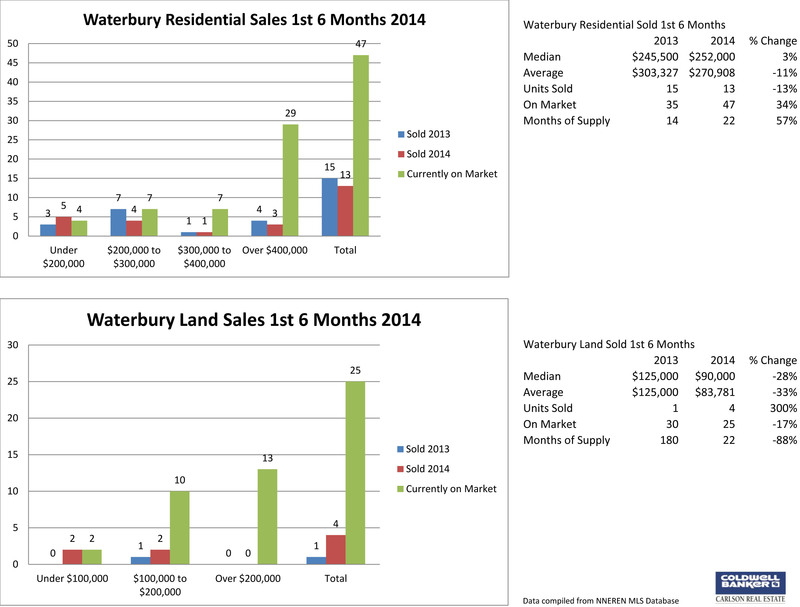 The median and average sales prices dipped 21 and 29%. 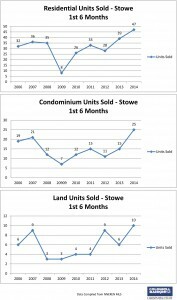 Although projections for land sales were indicating an increase, they were actually up more significantly than thought - to the highest number since 2006. 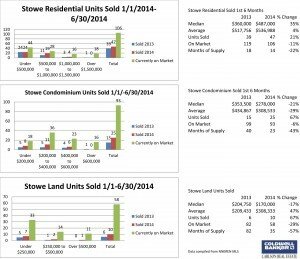 The number of listings declined as much as 29%. 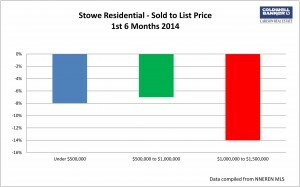 The median sale price of $170,000 was a bit lower than last year at this time, 17%; whereas the average increased 47%. 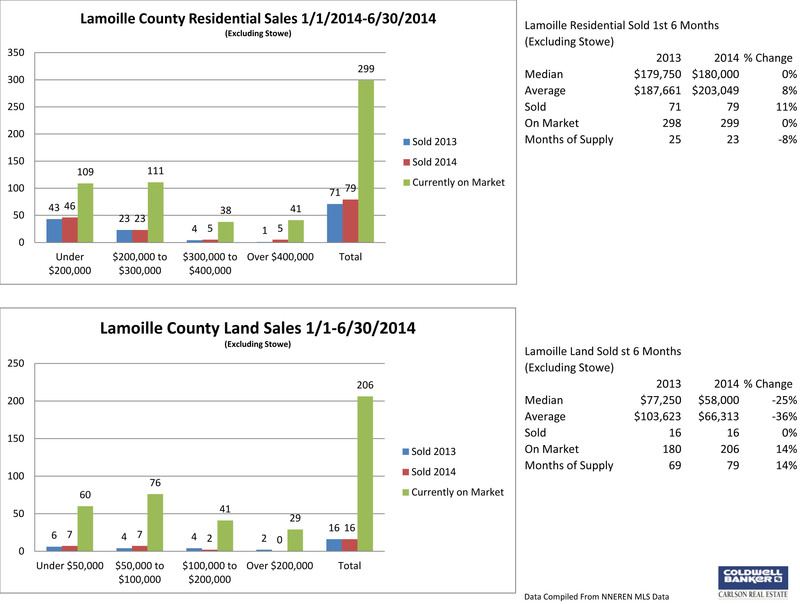 The chart below shows a continued increase of home sales up to $500,000, which increased about 21%. Home sales for the 1st 6 months of the year between $500,000 and $1,000,000, represent 40% of all sales, down slightly from last year. 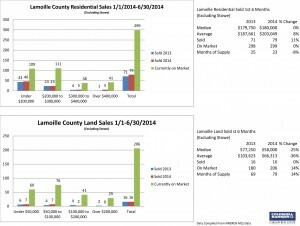 The luxury market segment, above $1,000,000 increased slightly from 4% to 9%. In the same categories, the chart below shows the relationship of sales price to list price. Our office was again awarded the #1 Coldwell Banker office in sales, of its size, in the northern region comprised of 19 states. Additionally, we were awarded the #3 ranking, nationally. Budge Huskey, President and CEO of Coldwell Banker said of our office: "Like Stowe itself, Coldwell Banker Carlson Real Estate is unique and grounded in the concept of quality first".